This YA novel pits four underprivileged teens against an evil billionaire in the race of a lifetime. I want to thank Delacorte Press for providing me with a copy of this book to read and give an honest review. Receiving this book for free has in no way altered or changed my opinion or review. I'm actually not sure where to star with this read. It was interesting for sure. And totally different than what I had imagined it would be. And, in all honesty, it read more like a middle grade book for me. The fun things about this book was the gang of underdogs who fight to be the winner. I really liked this. I love when the underdog is able to conquer and come out on top. Especially when they work hard for it. Nothing comes easy to these kids and they meet so many road blocks along the way. Sully knows one thing, selling spheres. It's how he keeps his and his mother's heads above ground. But he's running out of those spheres he has. If the money doesn't come, he and his mom will have to move away from what he's always known as home. I liked Sully. He was a bit rough around the edges, and definitely mentally older than his 17 years. I suppose having hardly any money and having to help out your mom in order to live might do that to you! And he's quick to jump to conclusions without having evidence to support his accusations. I do wish there was more depth to him. Alex Holiday is your typical villain. He's self-centered and self-preserving. He's cheated Sully before and he's not one to back down. He goes after what he wants, in whatever way possible, and takes what he thinks is his. I pretty much wanted him out of the picture throughout the whole book, even when it seemed like he might actually have a bit of a good side to him. Sully's friends were a good compliment to him. I do wish they had been a little more developed. Other than Hunter, we really don't get much from Sully's best friend, Dom, or their unlikely companion, Mandy. It seemed like the author just scratched the surface with them. I honestly never connected with any of the characters in this book. The writing is easy to follow though the first part of the book is a little slow paced. And I felt like these kids were never going to catch a break. That did make for a more realistic story, since the good guys don't always win right away. Something that really bugged me in this story was lack background about the spheres. I just didn't feel like I understood how they came to be in the world. I mean, I understand they had some mystery behind them, that was essential to the story line. But I wanted to know exactly how things progressed once they were found. How did people realize they would enhance things and how to use them? Who figured it out, etc. The story was severely lacking in the world building in this area. Also, the romance felt a bit forced and unlikely. It was kind of an instal-like, in my opinion. Sully goes from seeing this girl and spending limited time with her to all of a sudden being in love with her, when he barely knows about her. It just didn't seem complete to me. Overall, I liked the story but I didn't love it. It's a book I might suggest for my 12 year old to read as opposed to an older teen. Definitely in the sci-fi genre, especially towards the end, this book would probably entertain anyone who has a love of anything alien to our earth. 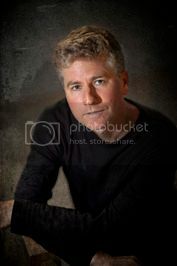 Will McIntosh is a Hugo Award-winning science fiction author, as well as a finalist for eleven other awards. His alien invasion novel Defenders was optioned by Warner Brothers for a feature film, while Love Minus Eighty, was named the best SF novel of 2013 by the American Library Association. 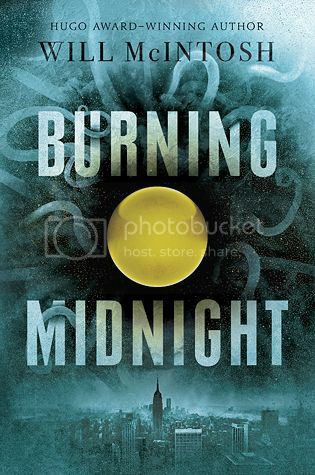 Coming in 2016 are his first young adult novel, Burning Midnight (Penguin Random House), about a pair of teens hunting for mysterious colored spheres that give people enhanced abilities, and the wild SF adventure Faller from Tor Books. Along with four novels that have been translated into five languages, Will has published dozens of short stories in magazines such as Asimov's Science Fiction, Strange Horizons, Daily Science Fiction, and Interzone. His stories are often reprinted in different "Year's Best" anthologies. Will was a psychology professor before turning to writing full time, and still occasionally teaches a class at The College of William and Mary. He lives in Williamsburg, Virginia, and is the father of twins. You can follow him on Twitter @willmcintoshSF. Yes, meh is what I would have said, too. There was a lot that needed to be more fleshed out. Like I said, if this were middle grade or very young adult, I could see it being this way. But for me, I needed more. I totally agree. I was very frustrated about the spheres and wanting the background story. The romance didn't work for me either. I think you are right about this being for a young audience. Still I enjoyed the twists and turns, and I ended up liking it overall as it was unique. It was unique, that's true. Thanks for stopping by!